Just popping on to share a new page from the Scrapbooking From The Inside Out September kit called "Innocence". This kit is gorgeous! Lots of subtle colors, beautiful trims, embellishments that will make you sigh... just beautiful! I created this page and it is one of my favorite photos of my little Christopher as a newborn. I can't believe it's been almost 4 years since this photo was taken! Seriously how to kids grow so fast??? I love the My Mind's Eye papers with it's board of hexagons and beautiful colors! I added the left hand borders with the Pink Paislee papers. 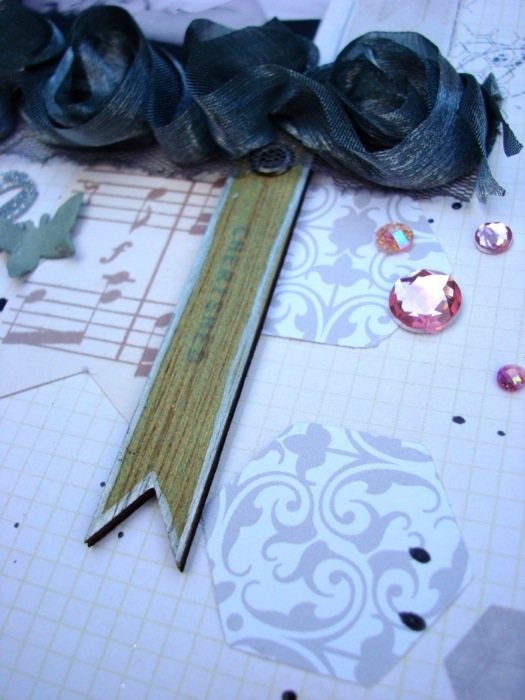 The American Crafts thickers were decorated with the WOW glitter in graphite. I love that sparkle! The feathers and trim are gorgeous too! I will never forgot looking at that sweet face and feeling absolute awe and love for Christopher! He was such a sweet and kissable baby! Actually, he's still pretty kissable! Prima's wooden embellishments are just awesome! I also dripped some black ink here and there! 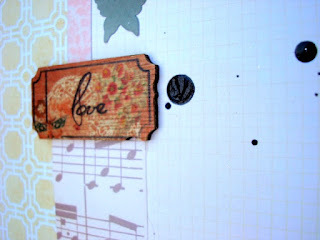 I used Creative Memories hexagon punch to cut out some shapes from the Bella Blvd. 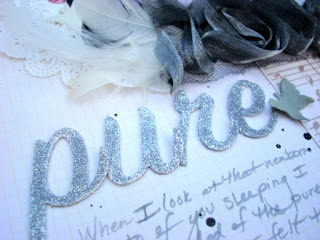 papers and added the Glitz bling along with some Prima ones that were left over from another kit. 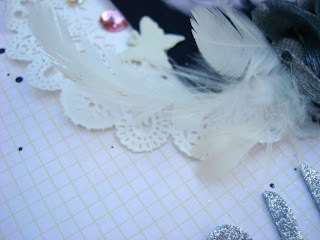 Sigh... more feathers for my angel and I added a doily (one of my favorite trends right now!)... 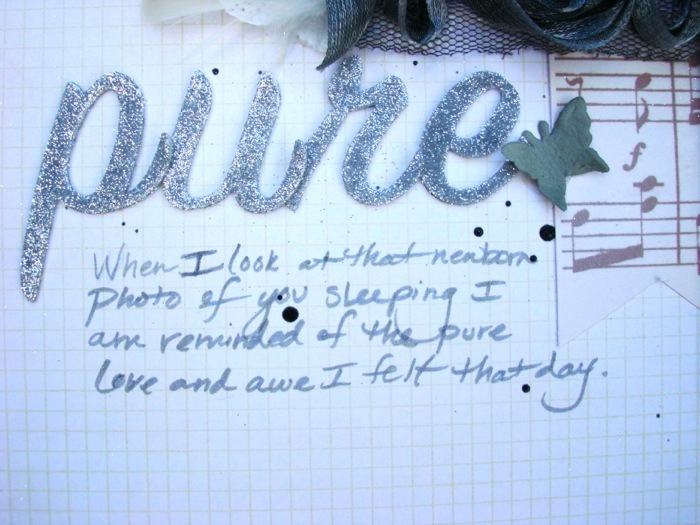 Just a beautiful look to an innocent page! I absolutely love this kit for child and personal themes right now! Check it out if you haven't already! New Card and sneak peek!